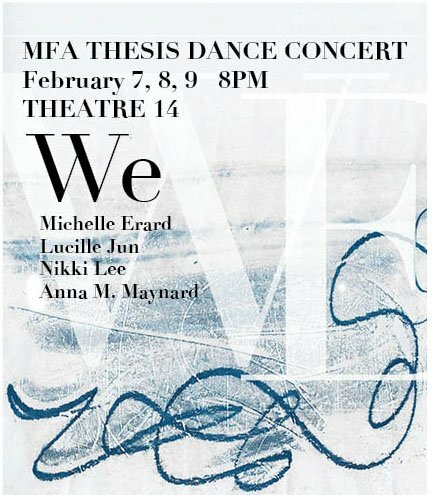 The Smith College Department of Dance presents We, a performance of thesis works by the department’s second year MFA candidates: Michelle Erard, Lucille Jun, Nikki Lee, and Anna M. Maynard. The works presented explore emergent understandings of we. Performances are February 7, 8, and 9 at 8:00 PM in Theatre 14 at Smith College.